Growing cleomes (Cleomes spp.) is a simple and rewarding garden adventure. Planting cleomes is often necessary only once, as this attractive annual flower re-seeds prolifically and returns year after year. 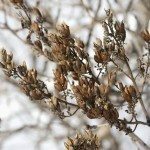 Seed pods may be removed before bursting for use in planting cleomes in other areas of the flower bed and garden. Growing cleomes is most easily done by planting seeds in the chosen location. 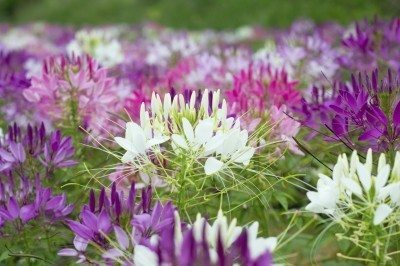 Most any location is appropriate as cleomes will grow and produce the cleome “spider” flower in full sun to part shade locations and do not need any particular type of soil, other than well draining. Seeds may be started inside; however, a complicated schedule of lighting, temperature fluctuation and bottom heat is required for indoor germination and is usually not worth the effort of the regular gardener. Be aware as well that older cleome plant cultivars are sometimes difficult to transplant and may wither away, never to return if you try transplanting them. Planting cleomes from seed usually results in a vigorous display of the tall, fragrant cleome spider flower. Newer cultivars, some in dwarf varieties of the cleome plant, have no fragrance and do not produce next year’s flowers as seeds are sterile. Older varieties of the cleome plant are useful as background plants for shorter, sun loving flowers and as stand alone specimens when planting cleomes in masses. The cleome spider flower, sometimes called spider leg or spider flower, is so named for its tall, leggy appearance and the shape of its leaves. Flowers of the cleome plant are intricate, large and showy. They may be bi-colored in pink or lilac colors with white or they may be only one of these colors. Flowers of the cleome plant bloom in summer and may last until frost occurs. Once established, they are drought tolerant and hold up well during summer’s scorching heat. Deadheading of spent flowers encourages longer bloom time. Planting cleomes in the vegetable garden helps attract beneficial insects and may deter some of the bad bugs which damage crops. Now that you’ve learned how to grow cleomes, you may find them a welcome addition to your garden or flower bed.